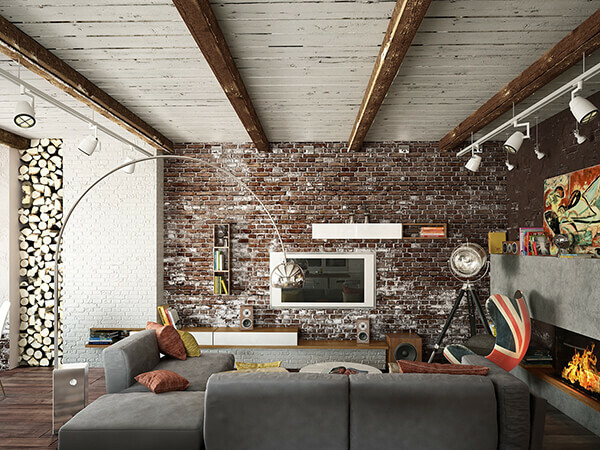 Exposed brick is very on trend right now. It adds a certain warmth and hominess to a space that people are drawn to. The key to making it look right in your home and having it work well within the space is decorating it the right way. There are tons of creative ways to play up an exposed brick wall and make it look great. 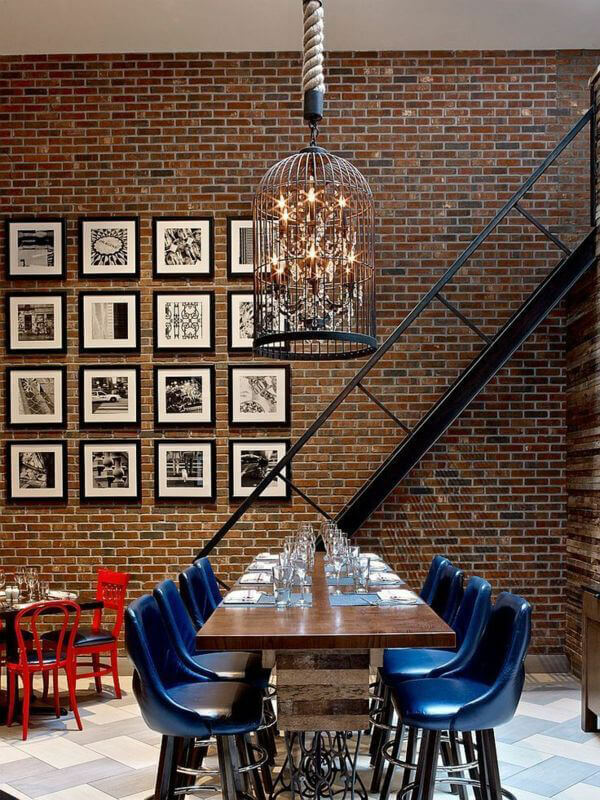 Using wood furniture and decorations is a popular way to play up exposed brick. This is especially true if the brick is white. The white brick is warmed up by the rich, darker colors of the wood. This creates a cool contrast and adds a rustic feel to the room. You can play with different finishes on the wood to see what looks best. Exposed brick has a visual interest all it’s own, but it can be really played up with some lights. There are tons of options here, and stringed lights have become a really popular one. String lights that either just have the exposed bulb or are covered by a cool shade look great strewn across the brick. Depending on how much brick you have to cover, this could be a decoration that takes up a lot of wall space. 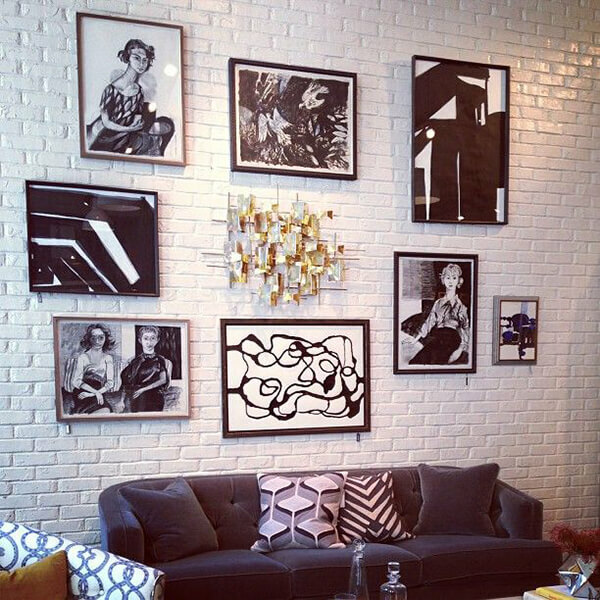 A lot of different types of wall art look great on exposed brick. A fun option is to put up framed photos or posters. If the exposed brick has a red or brown color, white frames pop out against it in a very interesting way. This adds a lot of personality to the wall. Another creative option is could be putting up a tapestry. A tapestry in front of a brick wall gives off a very relaxed, bohemian vibe. If your exposed brick wall happens to be white, you’re in luck. This provides a fun opportunity to create a contrasting black and white wall. Putting pieces of black furniture, black shelves, or other black decorations against a white brick wall gives a really chic, modern feel to a room. 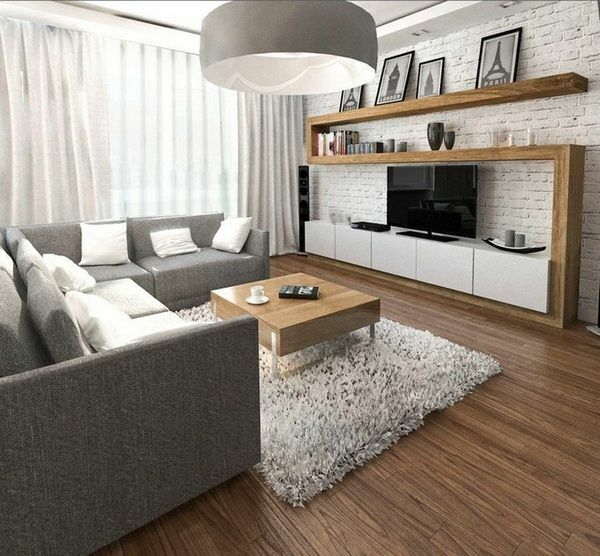 The simple color scheme can make a room feel very roomy and sleek. 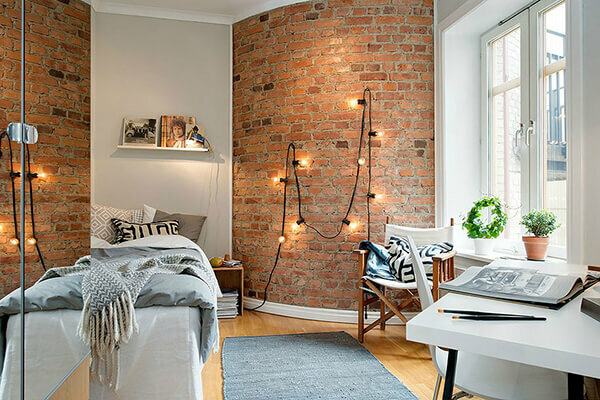 There are so many ways to get creative with decorating an exposed brick wall. Some people choose to keep it very simple and some choose to really play up the look of their brick wall. Both of these options have potential to create a very visually interesting space. In order to keep the room looking right, it’s important to maintain the quality of the exposed brick. Tuckpointing is the repair process by which the decay or destruction of bricks is halted. Point Brik Tuckpointing can rejuvenate bricks and ensure their quality and appearance is maintained or improved. It’s important to keep an eye on how the bricks in or outside of your home are looking so that if you notice some damage you can get it taken care of before it gets very bad.